What’s it about? The sight of his weathered fedora hat, leather jacket, and whip makes us want to be generous with the superlatives, being the iconic flick that it is. 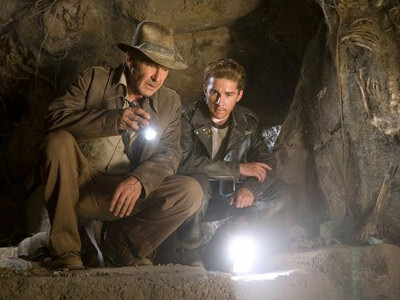 This outing happens 19 years later, Indy (Ford), having a quiet life as a professor, is back for another adventure. His new quest involves a crystal skull, the Mayan civilization, and a wicked hot Russian detective (Blanchett). His new adventure takes him across New Mexico, Connecticut, Mexico City, and the jungles of Peru. What’s good about it? The film had Ford doing most of his stunts, it used less CGI, and there’ll be a couple of wisecracks (some about Indy’s age). It will have you jouncing for old Jones flicks.